Warsaw, Poland, 2017-Oct-19 — /EPR INTERNET NEWS/ — LizardFS Software Defined Storage is a distributed, parallel, scalable, fault-tolerant, Geo-Redundant and highly available file system. They announced today that Michael Kozlowski has joined its team as Sales Director for North America. At LizardFS, Michael is charged with scaling the sales team and growing markets across the United States. 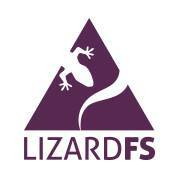 LizardFS application is cross sector. With such customer examples as GradientFX using it for post production work on movies and television series, or the United States Department of Agriculture utilizing its functionalities to replicate genomics data in multiple data centers to avoid data loss in the case of tornados taking out one of their data centers. The possibilities for expansion within the United States are looking pretty promising. Skytechnology also plans to continue adding features to LizardFS as well as offering enterprise support. “I am very excited to join the outstanding team at lizardFS and to continue expanding the sales reach of lizardFS dynamic benefits offering. There are a number of installations in the US that are not taking full advantage of the solution by not subscribing to enterprise support. Have a peace of mind with our helpful, passionate support team on standby. We offer full maintenance, development and support for LizardFS including, 24/7 support, we can assist our clients to meet their unique and specific needs and, if necessary, develop new features upon request. We can provide a tailor-made comprehensive solution (hardware and software). We can guide in migrating the data from your current storage solution(s) to LizardFS (possibly using the hardware you already have) to start taking advantage of our unique feature set,” said Mike. Skytechnology creator of LizardFS was founded in 2012 by passionate programmers who decided to invest their time and skill in creating superior products that would compete in the marketplace by not only offering excellent quality at a competitive price, but most importantly providing outstanding service. 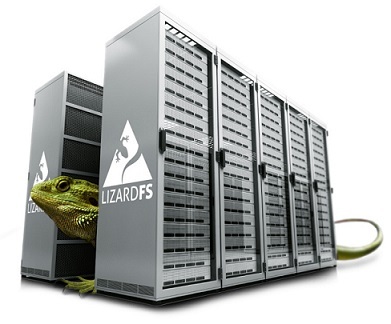 LizardFS Software Defined Storage is a free open-source distributed, parallel, scalable, fault-tolerant, Geo-Redundant and highly available file system. It allows users to combine disk space located on several servers into a single name space which is visible on Unix-like and Windows systems in the same way as other file systems. LizardFS makes files secure by keeping all the data in multiple replicas spread over the available servers. It can also be used to build space-efficient storage, because it is designed to run on commodity hardware.